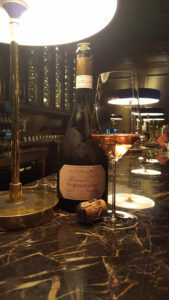 For years the association between Rose Champagne and Valentines day has seen sales spike aggressively in the weeks leading up to the 14th of February. It is not difficult to understand why. The alluring colour, the perfumed/floral nature and, in most cases, it’s premium pricing. Historically producers have shown little interest in their pink wonders relying on the fervour of days like the 14th of February to make up sales. Well, no longer. For the last 5 years we have seen a real drive in quality among many of the big producers and it now, in many cases, rides alongside their white counterparts in quality terms albeit with a hefty price tag! For the big producers rose is a bit of a no brainer. It is pretty much build it and they will come. Smaller producers have a slightly more complex task at hand but what is surprising and comforting is how they are no longer pushing their roses to the rear. For years I travelled to the region and would only be offered the rose if I asked. Now it is thrust in front of me with great excitement sometimes even before I try the whites. No longer do they simply hide behind the colour. It is taken with great seriousness and in fact makes up a good number of my top wines of the last year. The beauty of Rose lies deeper than just the colour, which is a lovely thing in itself. Depending on the production method, roses can hold up against a number of foods beautifully. Just the other day I enjoyed a fabulously rich and complex Ruppert-Leroy Rose with lamb. Delicious! One of my struggles with rose on the market today is it is pushed out a touch too early. The market leaders, of the likes of, Laurent Perrier and Billecart Salmon are showing 2011 and 2012 base NVs. With the whites this is perfectly acceptable but rose, for my palate, demands at least a few more years on the lees and as much time post disgorgement as your cellar, and palate, will allow! 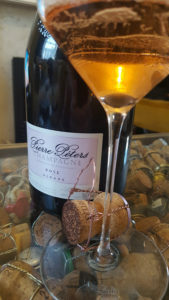 As an example, one of my great rose experiences was a delightful bottle of Laurent Perrier Rose bought from a French supermarket in Pierry in 2015. We had taken it back to London and duly cracked it open on a Valentine’s day weekend away. I know, how cliched. What was surprising was just how rich and complex it was. An utterly delicious rose which obviously had enjoyed many years of post disgorgement aging. 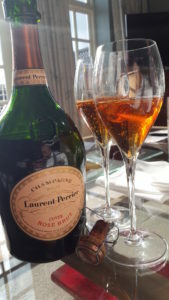 It wasn’t until a week or two later that I managed to contact Laurent Perrier UK and discover that it was a 1992 base Cuvee. A full 20 years of post disgorgement aging! Now this might seem a little extreme for some who are struggling to think of what they will be doing next Thursday never mind Thursday 14th February 2037! One however doesn’t need to be so extreme. Many producers are selling some excellent vintage roses with some age on them and if you can do it, and are that way inclined, just pop some NV Rose in the cellar and wait a year or two to start seeing the benefits. The other option being somewhat easier and cheaper is to turn to the smaller producers who tend to show wines with more up front richness, extraction and oomph. Fantastic wines in themselves they display wonderful saline and structured forest fruit notes and are a delight on their own or with a meal. My issue lies with the fact that they are so bloody good. They aren’t things to buy just to ‘show that you care’ or whatever other sentiment finds you reaching for them on the supermarket shelves. They are epic wines that demand respect, require on open mind and, of course, give such a wonderful sensual journey. So if you do feel that way inclined go out there and grab yourself a bottle for Valentine’s. Fit the stereotype. Conform to the masses. Just know I won’t be following you. Being a rebel, I refuse to buy one for the 14th of February. Rose is for life, not just for Valentines! 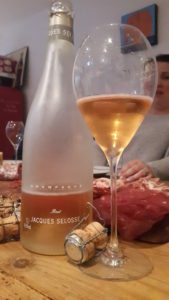 Selosse produces one of those wines that you either love or hate! He creates texture and salinity like no other and if you can rock that then his Rose is one to pick up. Salty, buttery and rich with hints of summer berries and a huge power behind it. This delight is made from a blend of Chardonnay from his holdings in the Cote de Blancs and a small amount of Pinot Noir from Ambonnay. It is an experience and a half! Simply mind blowing. 9. Pierre Peters Rose for Albane. I am a huge fan of a number of wines from Le Mesnil so this Rose may come as no surprise. Made from a blend of Chardonnay from Mesnil sur Oger and 40% Meunier from Rene Geoffroy in Cumieres which he buys in. It is all rose petal, cranberry and small wild strawberries on the back of some delicious crisp Granny Smith apples. It is that perfect blend of crisp fruit and delicate floral notes. Lovely! 8. Veuve Fourny et Fils Rose Les Rougesmonts. A deliciously rare little number produced by the Fourny brothers from Vertus in the South of the Cote des Blancs. It is made from macerated Pinot Noir from a single vineyard named ‘Les Rougesmonts’ which sits precariously on a 47 degree slope facing due East in Vertus. Produced in tiny numbers it is a pure, piercing and focused wine. A touch of cranberry, laced with a chalky backbone. 7. 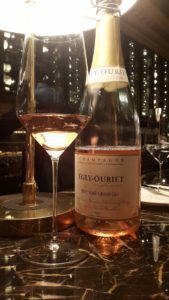 Egly-Ouriet Brut Rose Grand Cru. Made with wines from Ambonnay, Bouzy and Verzenay with 66% Pinot Noir, 25% Chardonnay and some Ambonnay rouge. It spends a good 48 months on the lees but, this wine comes with a caveat. Give it some time and it will deliver even more. Sweet, saline with violets and stewed forest fruits. So beautiful. They are one of the few producers that tell you the disgorgement date so do have a look out for this on the back of the label. Look for at least a year…or two! 6. 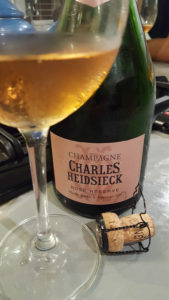 Charles Heidsieck Rose Reserve. The last time I had this it was blind, in amongst a few bottles, of varying ages, of Krug Rose. I could not taste the difference (and neither could the other 15 Champagne geeks). It is that good! 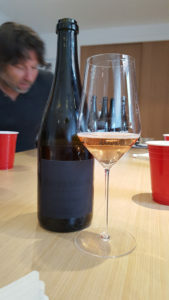 All of the wines from Charles are stupendous but the Rose really is impressive and, with a year or two in bottle, develops a wonderful biscuityness that leaves you licking your lips! 5. 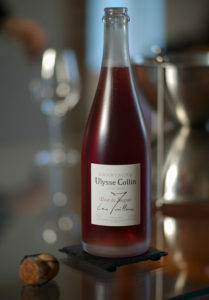 Ulysse Collin Les Maillons Rose de Saignee. Made from the same vineyard as the Blanc de Noirs Les Maillons but macerated. I must confess I much prefer this to that wine. About as close to red wine as you can possibly get! Notes of game, olives, dark liquorice, sweet berry. So fabulous. So much concentration but never heavy. And the colour…blood red. Awesome! 4. 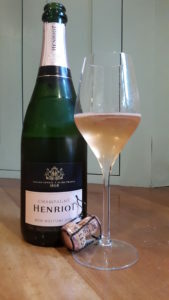 Henriot Rose Millesime 2008. This wine found it’s way onto the shelves last year and was selling at a ridiculously cheap price. I quickly bought two cases and have little left! There so much buttered brioche and sweet length, I simply can’t get enough of it. I challenge you not to love it! 3. Bereche et Fils Campania Remensis. A fabulous producer from the village of Ludes in the Montagne de Reims. This wine is made from 60/30/10 blend of old vine Pinot Noir/Chardonnay and Meunier. Always from one year, the 2012 can be found on the market at present and it is rocking! A beautiful golden orange hue, leads to a palate that is strict and focused but delightfully seductive and rich. 2. 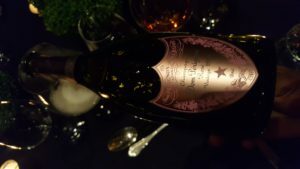 Dom Perignon Rose P2 1996. When this hit the market last year most in the trade gasped. And not a good gasp. At £850 PER BOTTLE it is, for most, completely off the Valentine’s list. However, if you get the chance…just maybe…it could, maybe just be worth it! It sits in a beautiful secondary phase right now with buttery notes lined up against a fresh touch of orange rind and dried roses. So exotic and rich. It is epicly impressive. 1. Savart Expression Rose 2012. 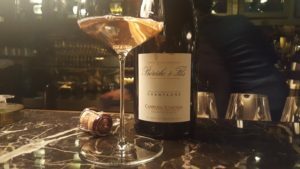 Made from 5 parcels in Ecueil and Villers aux Noeuds and vinified in old Romanee Conti barrels this was hands down one of the most impressive wines I tried last year. Again more burnt orange than rose in colour. The nose is deliciously ripe, sweet and complex. Sherbert dip, loganberry and redcurrants with hints of gooseberry. There is such a delightful warmth and butteryness yet a straightness to this wine I literally can’t get enough of it! (Bottle pictured is a pre production label).